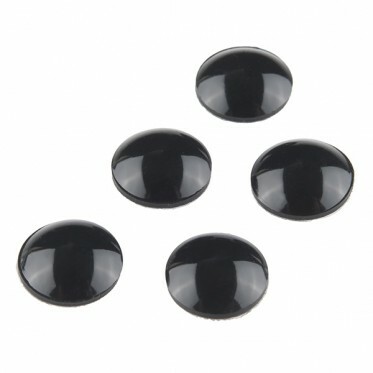 These are black, self-adhesive silicone bumpers 8mm in diameter and about 2mm tall. These bumpers raise your PCB or project up off your desk which helps prevent short circuiting from bits of scrap wire floating about or setting a project down on a conductive surface. They also prevent your enclosure or PCB from sliding around. These black silicone bumpers come in strips of 5.